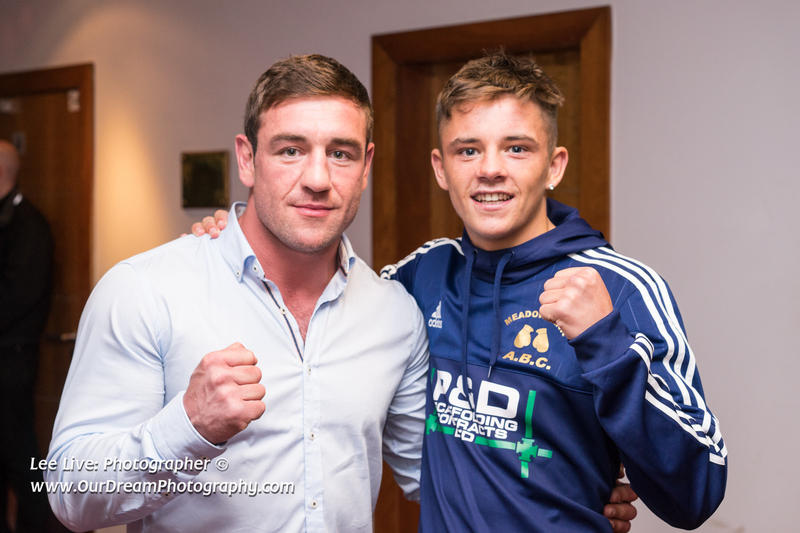 I was asked to cover the photography for Meadowbank Boxing Club for their Showcase at the Hearts Stadium. This was actually my third time photographing Boxing. It is really exciting to be so close to the action and dodging the blood. Over 500 photographs were made available within 3 days of the event. I wasn't permitted to use flash (except during the presentations of awards) so had to use very fast glass to catch the actions. Opting for a 90mm f2.8 and a 55mm f1.8. The images all came out nice and sharp. In this shot of Alex Arthur and Lee McGregor I used a mini-Softbox on the flash.